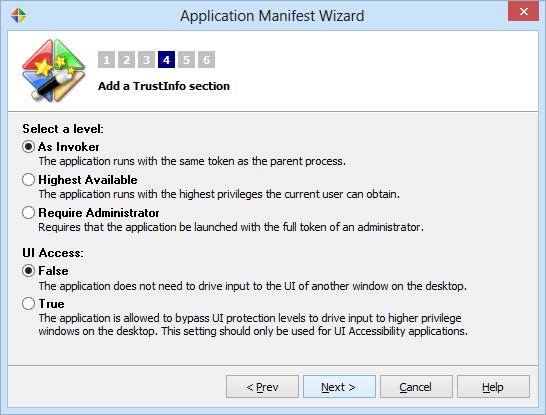 How To Generate, Edit and Insert An Application Manifest UAC with a Trust Info level section. 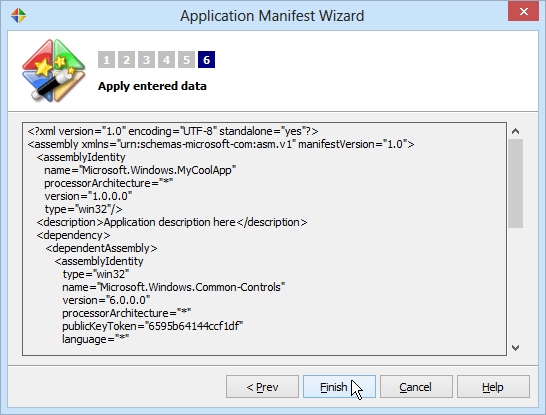 The application manifest provides support for changing the appearance of controls and marks the application with a requested execution level. 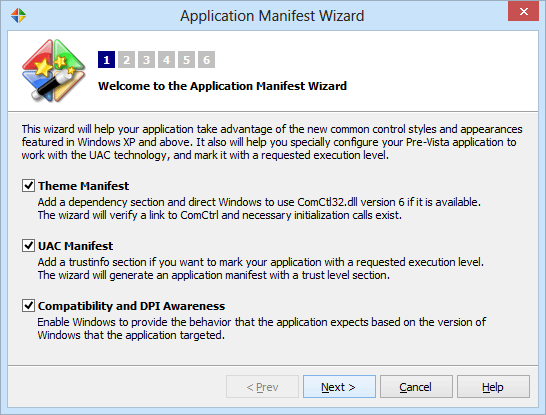 The manifest enables Windows to provide the behavior that the application expects based on the version of Windows that the application targeted. 1. 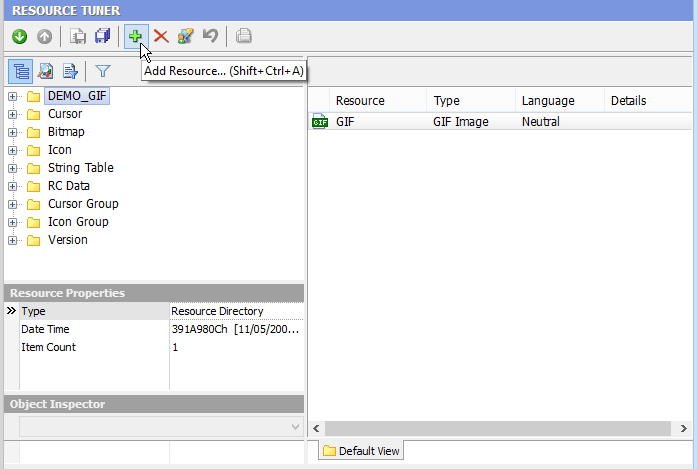 Download Resource Tuner and open your file with it. 2. Click the 'Add Resource...' button to bring up the wizard. 3. 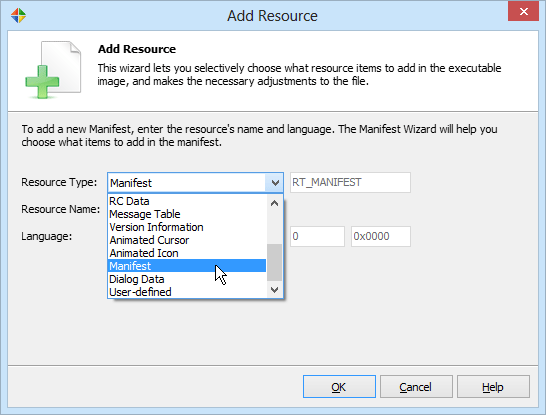 Select the Manifest resource type from the list and click OK.
4. Read the Welcome message, check the sections to be included in the manifest and click Next. 5. 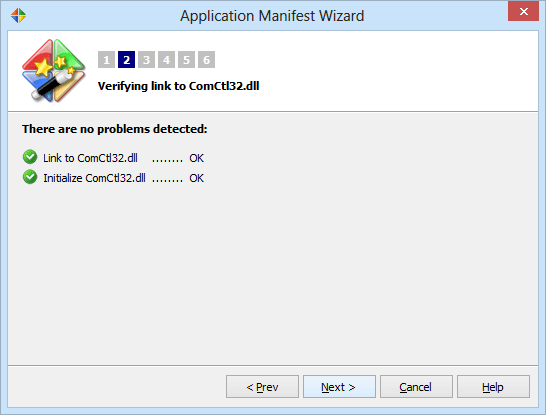 The wizard will verify a link to ComCtrl and necessary initialization calls exist. Having a link to ComCtrl is optimal - necessary in most cases but not all. 7. Select a requested execution level. 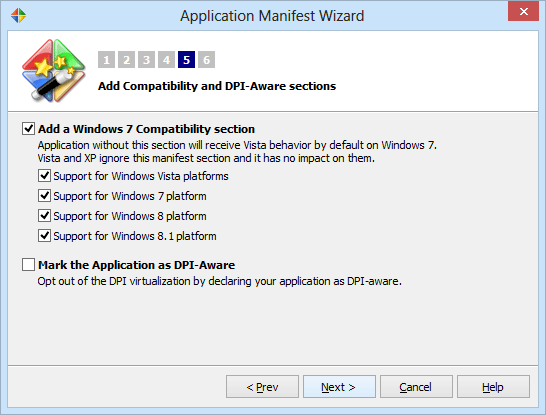 Most applications are built using the default "As Invoker" setting. 8. 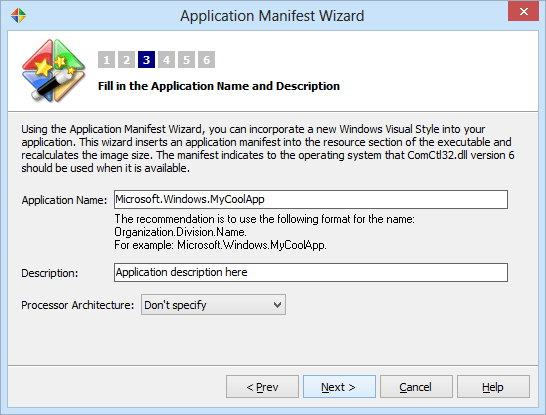 Check the supported Windows platforms to be included in the manifest and click Next. 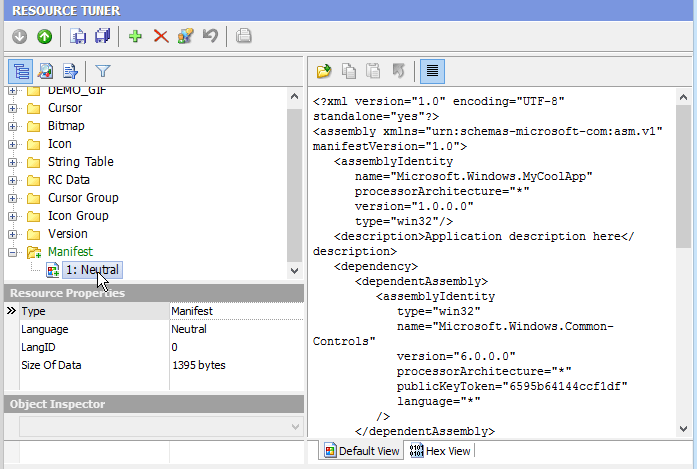 9. Review the manifest XML code and click 'Finish' to apply your entered data. 11. Click the 'Save File' button on the toolbar to save the altered file to disk. It is recommended to perform all file operations with copies of the originals and then only after you have moved the copies to a separate directory other than the parent or home directory of the executable.